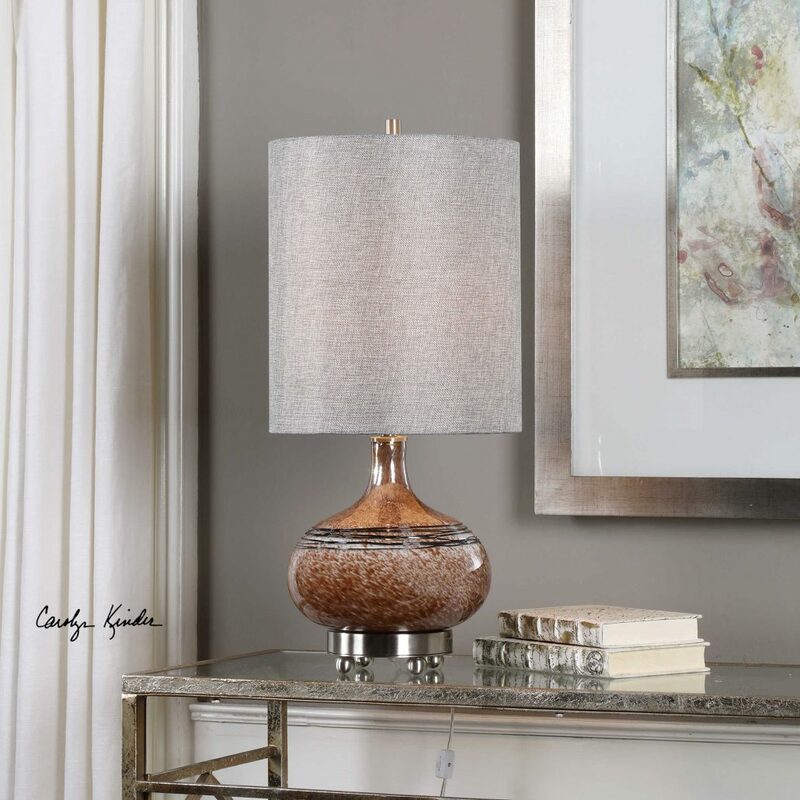 This Judsonia Art Glass Lamp features rust speckling with gloss white undertones accented with a decorative, black sugar spun texture, and brushed nickel-plated details. The round hardback drum shade is a gray linen fabric. Available to trade professionals at Uttermost.com. For retail purchase Google keywords “Carolyn Kinder Judsonia Art Glass Lamp”.